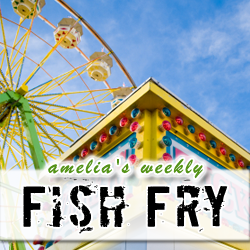 In this week’s Fish Fry, I interview Mike Gianfagna (Vice President of Marketing – Atrenta) about Atrenta’s role in reshaping the EDA industry, how front-end design has changed recently, and how SoC Realization fits into the EDA ecosystem. Also this week, I look into a fantastic new gift that might just be perfect for that nerdy someone in your life. I have a brand new nerdy giveaway to give out, but you’ll have to listen to find out how to win.